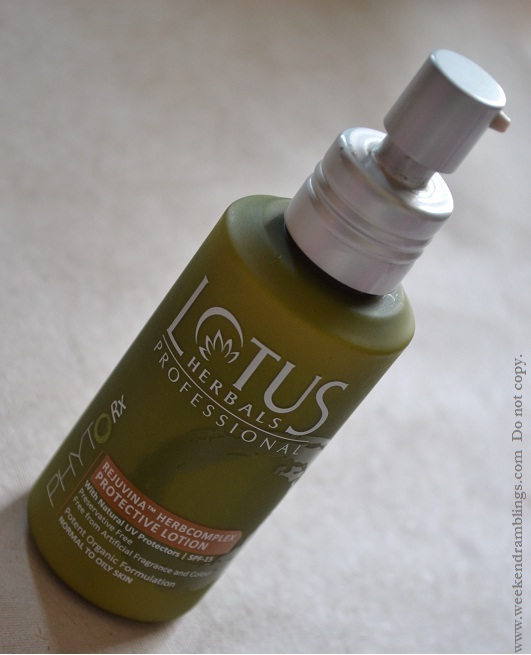 Some time back, Lotus Herbals Professional launched a new range - PhytoRx Botanical Prescriptions - potent organic formulations with higher concentration of active botanical ingredients in each product to provide safe and natural care effectively. 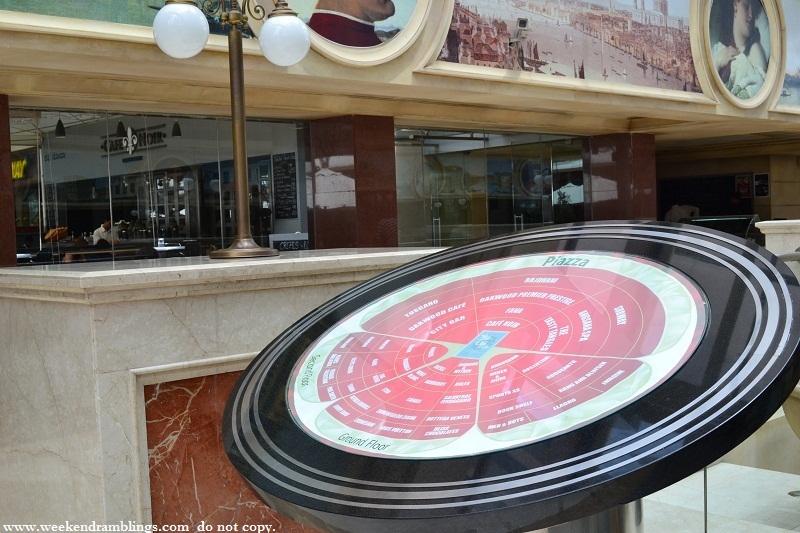 The products are free of chemical preservatives, artificial fragrance and colour. 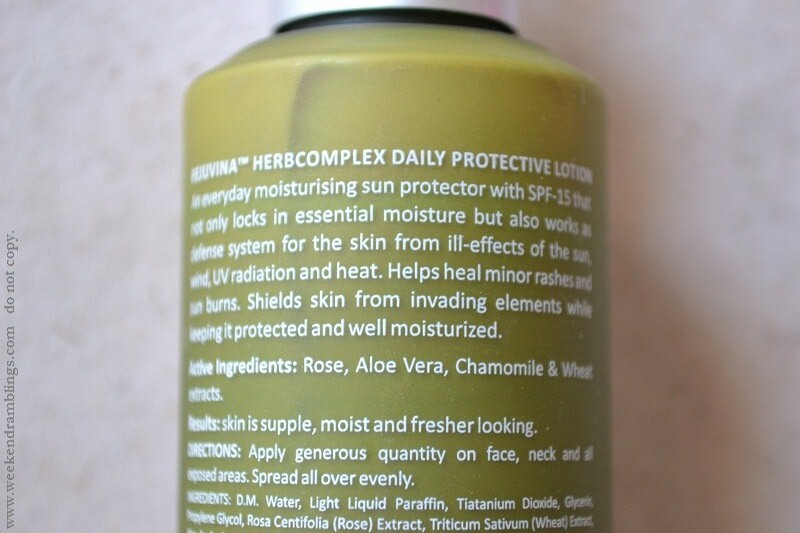 I got to try out the Herbocomplex Daily Protection Lotion with SPF 15 from this range. 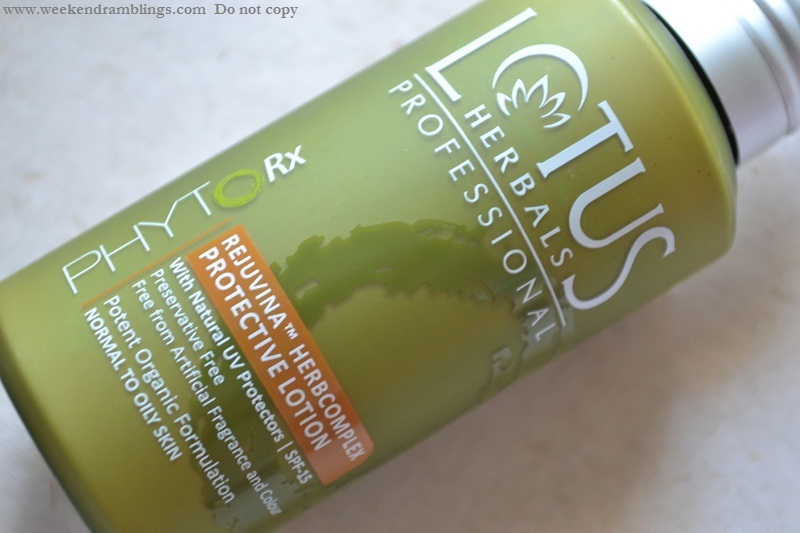 Ingredients: True to the claims, Lotus has put in a lot of natural ingredients into the product - extracts of chamomile, rose, aloe vera, and wheat. Liquid paraffin does figure quite early in the list, but I did not have any breakouts with this - so I am okay with it. The sun protection agent used is titanium dioxide - a physical sun blocker - I much prefer this to chemical sunscreens with which I usually get pimples. 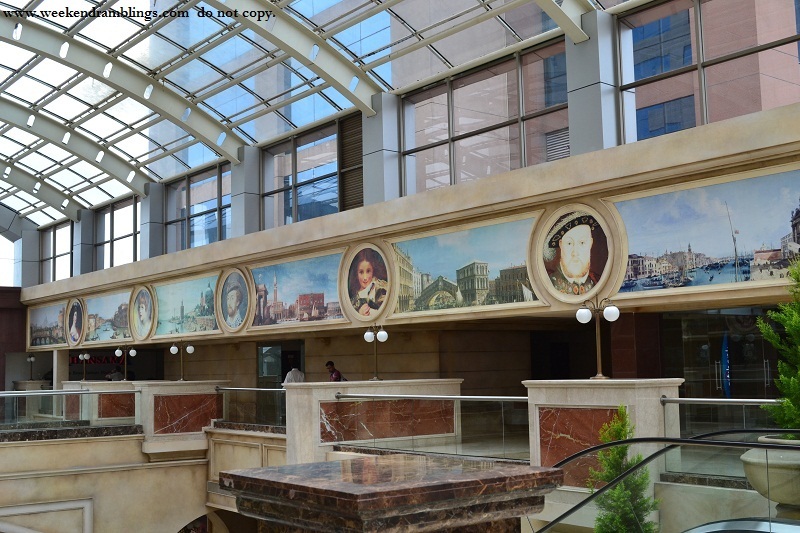 Strong UV light absorbing capabilities and resistance to discolouration under ultraviolet light. This advantage enhances its stability and ability to protect the skin from ultraviolet light. Sunscreens designed for infants or people with sensitive skin are often based on titanium dioxide and/or zinc oxide, as these mineral UV blockers are believed to cause less skin irritation than chemical UV absorber ingredients. 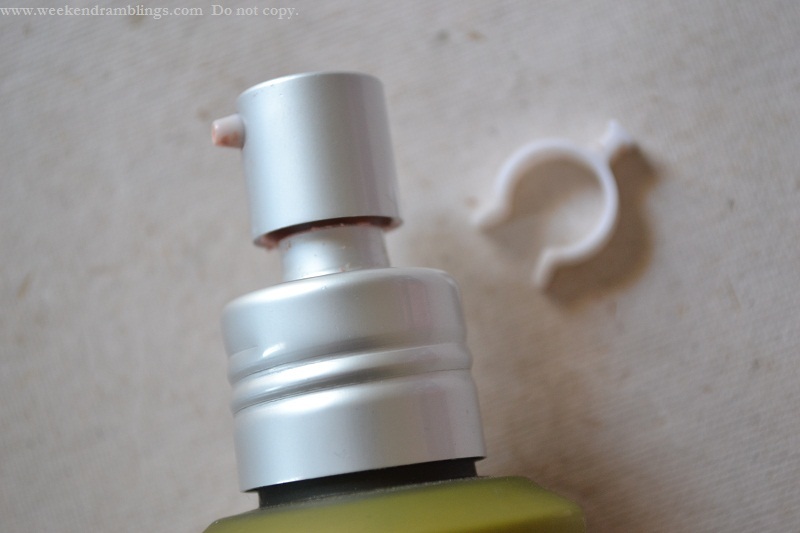 The packaging consists of a pump for dispensing the lotion, and my problems with this lotion are all related to this! There is no cover for the pump which leaves it open to gathering dust. There is a small white ring which goes in at the base of the pump, keeps the pump from getting accidentally pressed and leaking. I am a very careless person, and even with making an effort to keep everything intact till I finish with the review, I have misplaced the ring at least twice! 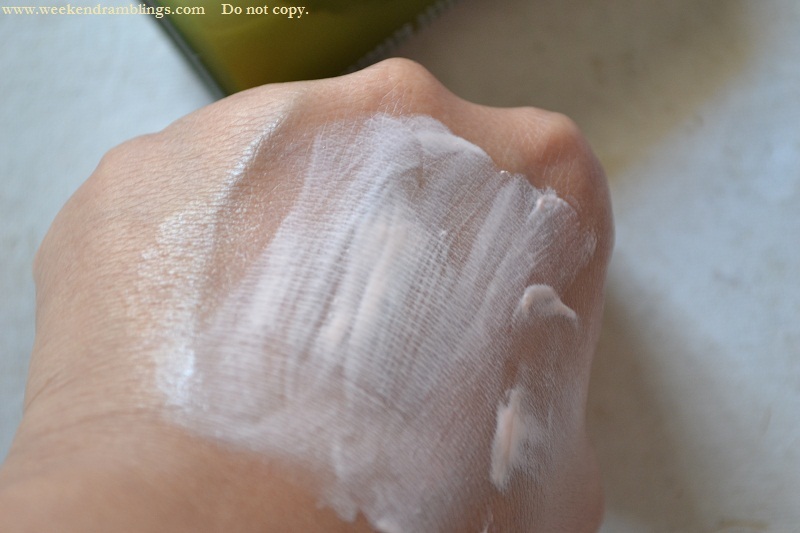 The product itself is a light pink lotion that reminds me of calamine lotion. It smells like a herbal-rose water mix but nothing offensive. 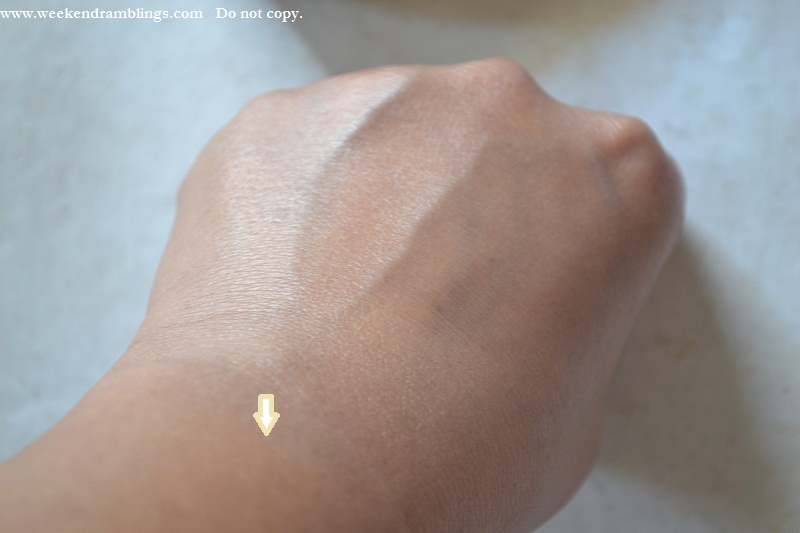 It spreads easily enough, but perhaps because of my darker skin tone it leaves a detectable whitish cast that is not very obvious in natural light but more noticeable under artificial lighting and could cause a whitish cast in photos. This is not a problem for me but might be something to remember if you are planning on spending some time under artificial lighting. Elle 18 came out with a repackaged range of products some time back, and I had tried their Colour Bombs (nail polish) earlier - love those. 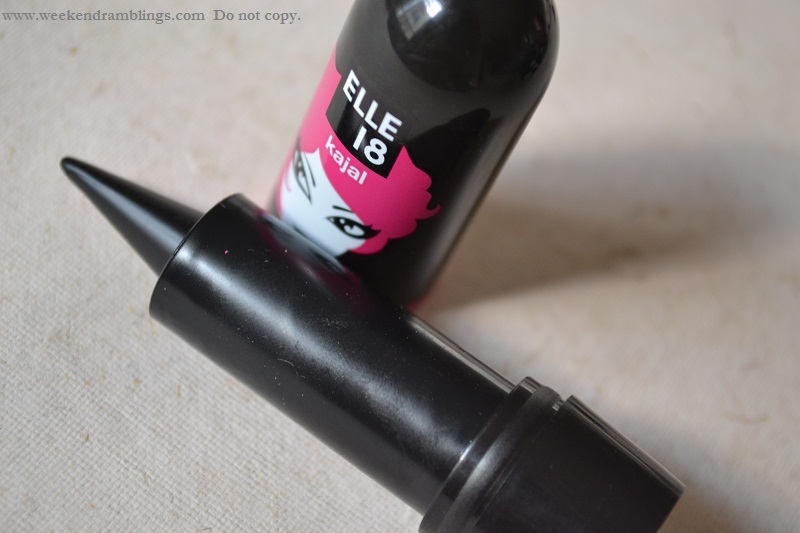 I got to try out the kajal recently, and I am beginning to think Elle 18 is the best value for money range I am ever going to find! I have only tried kajals in pencil form so far, so this twist-up cone packaging is quite new for me. Right now I have no problems with the packaging, but I do wonder what happens when it starts wearing down to a more rounded shape! It's as black as any decent kajal could be - smudges easily enough if I rub the swatch - but stays on quite decently on the waterline. Love that it smells of camphor and it does not irritate my eyes at all. The packaging claims that it "contains almonds." Not sure of the significance - it's probably almond oil. At Rs. 65/3 mL, I would rate this GOOD! 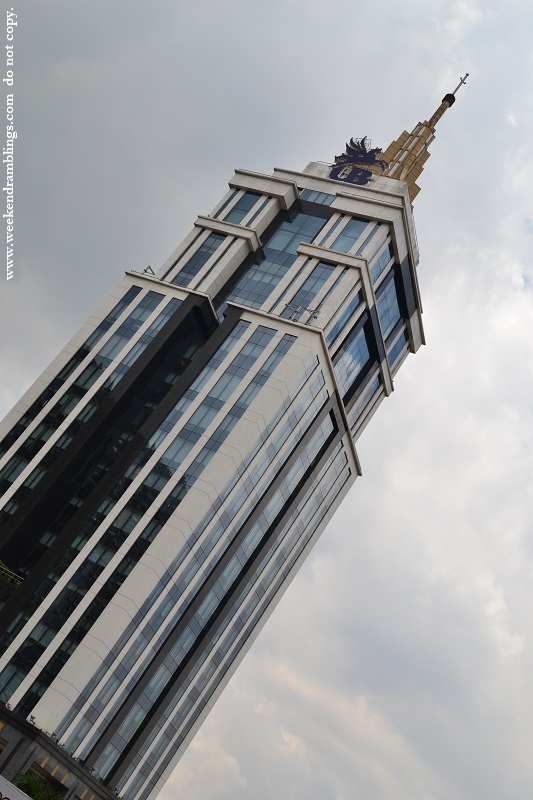 To save some people the trouble of asking, yes it is UB city. 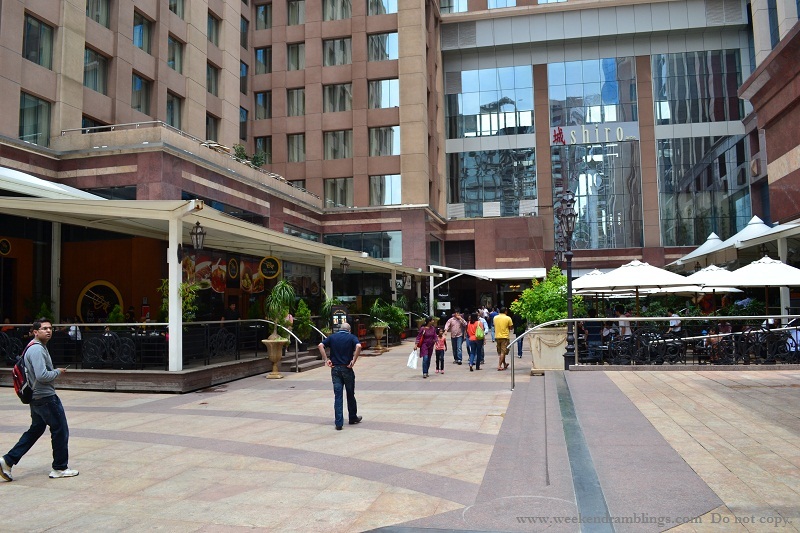 because it's not a closed building - so was very hot after a while. 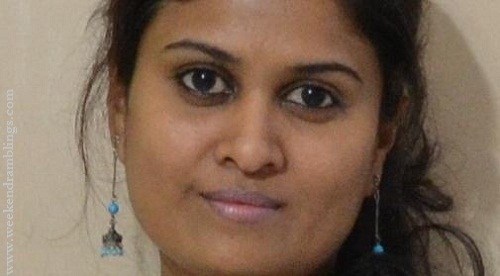 In the pic, the kajal has been on for almost 3 hours, and it stayed on when I reached back home too. In about 5 hours, it starts a slow migration off the waterline, but nothing scary. 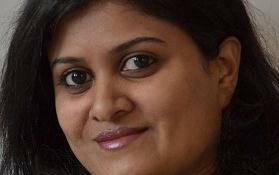 For a kajal, I think that's quite decent performance. 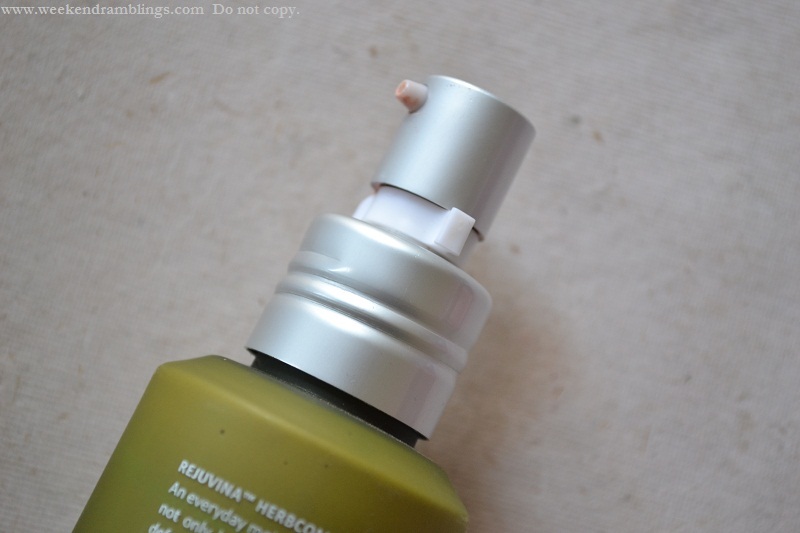 Since I claim my skin type is "oily skin" and "acne prone" in every other product review, me writing about dry skin might seem a little odd, but I have quite the mad skin - oily-combination skin for the face and crazy dry skin everywhere else! 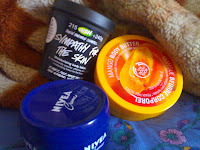 In fact, that's how I started using Lush products - nothing else worked for my dry skin. A bit wiser now, I thought I would list what I learned on dealing with dry skin. Love taking long hot water baths. The tap water supplied is hard water. 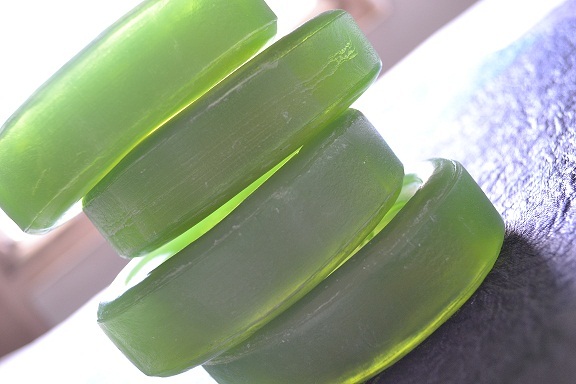 Before a bath, give your skin a deep conditioning treatment like you would do for your hair - lightly heat up an oil like coconut oil/olive oil/sesame oil and massage into skin - wait for at least 20-30 minutes before washing off. Once a week, use an oil-based scrub or a gentle gramflour/dal based scrub to exfoliate the skin and remove any dry flaky skin. 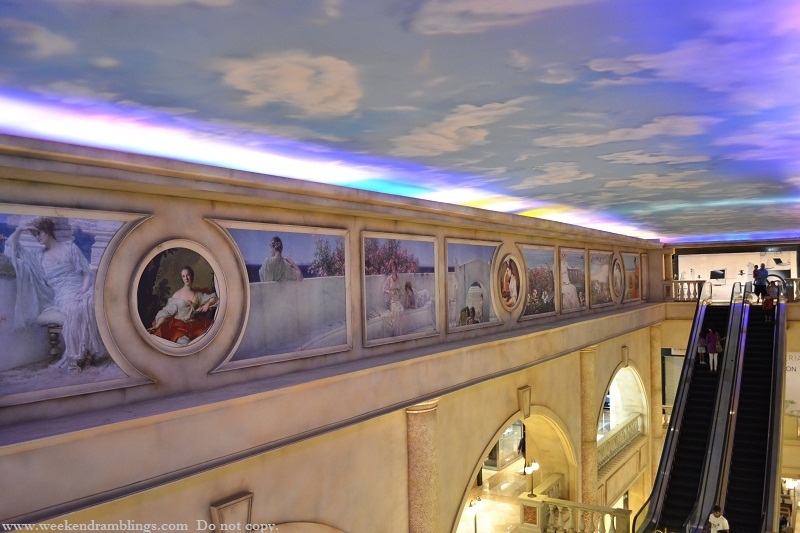 Follow with a generous rich moisturizer. 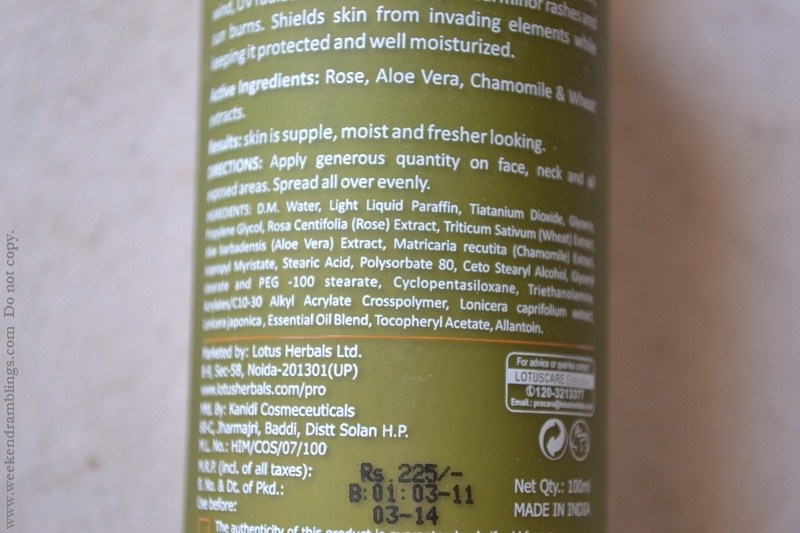 At least in India, there are a lot of brands that make ubtans (herbal cleanser/scrubs), that are gentle enough to work great for dry/sensitive skins. and feet all through the year). A healthy diet helps fight dry skin from inside out. Include a lot of fresh fruits and vegetables, nuts like almonds and walnuts, olives/olive oil, and fish (if you are the fish-eating kinds :P - but my granny gets skin inflammation with eating fish, so I suppose with diet at least there is no generalization) to help keep the skin healthy. 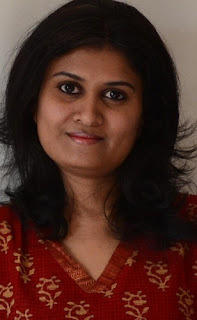 A brisk 30-minute walk a day apart from the very obvious benefit of keeping you thin also helps keep the skin healthy because of the increased blood circulation - I preach but am terribly lazy with doing it, might as well confess before the finger-pointing and snickering starts. I find it helps to use cotton clothes rather than synthetic materials - keeps the skin less irritated. So these were some things I found useful in solving my dry skin problem...do you have any helpful ideas? 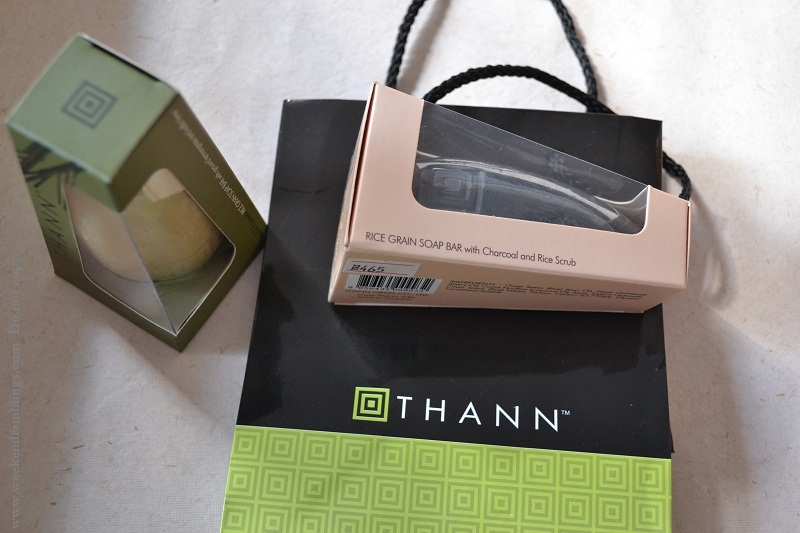 So this is what I bought yesterday - by now you would know I am soap crazy, love organic/natural ingredients, and of course, it should smell good :) The Thann outlet at UB City met all the criteria, and I picked up a soap for my mom and a scrubby soap for myself. Rice Grain soap bar with Charcoal (that's the black bar which seemed good to use as a scrub). 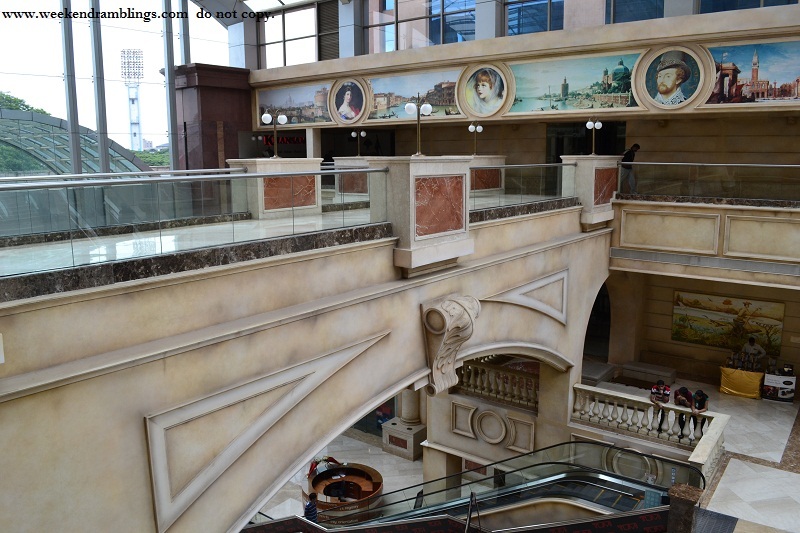 I did do a tiny bit of shopping...more on that tomorrow :) :) So what was your Saturday like? The easiest and most convenient blush of all time! Simply twist and apply directly on to cheeks for a radiant natural blush! 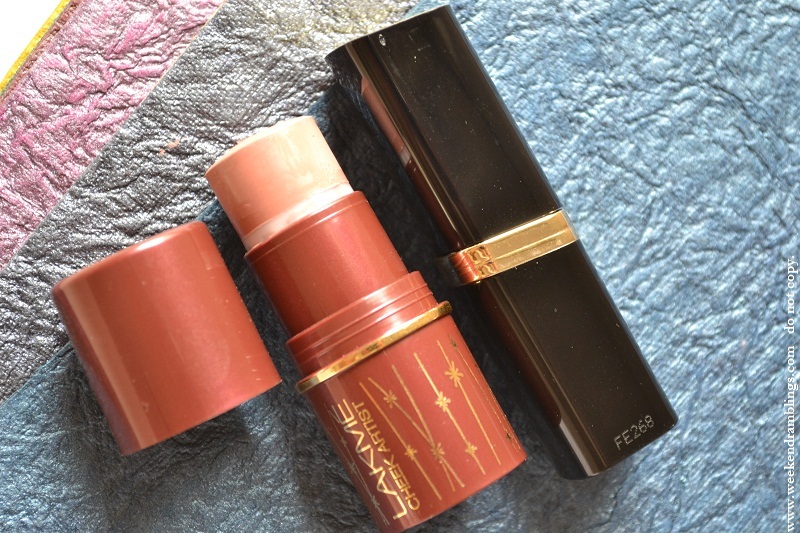 The cute twist-up cream blush stick from Lakme - I was very interested in buying the peach version of this, but as luck would have it, I got to try out the pink version instead. I am a blush dodo: Blush + Me = Hi-Hello terms only. Not going out for movies together kinds :P :P I am very unsure of where to apply, how to apply, etc. So yes, of course, I am going to like this blush! 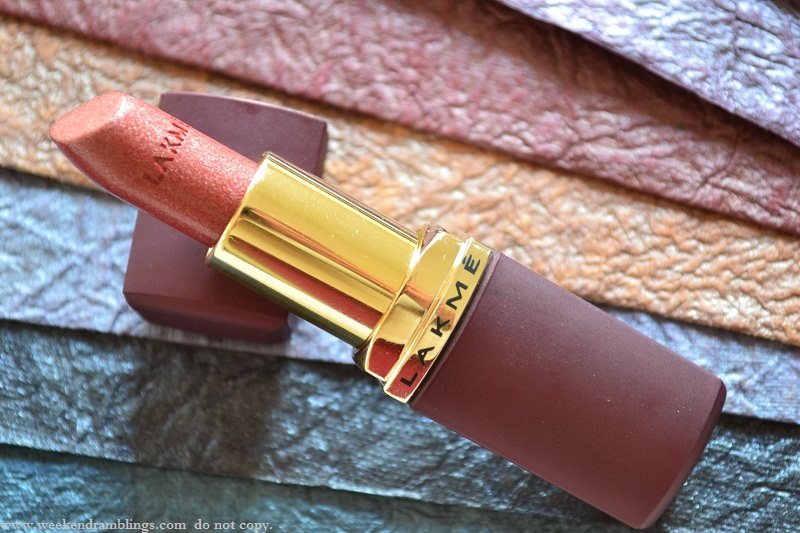 Now that the disclaimer is done with, here is the good and the bad for the Lakme Cheek Artist - Kiss of A Rose. It's a cream blush - easier to apply. Perfect for carrying around in the bag. 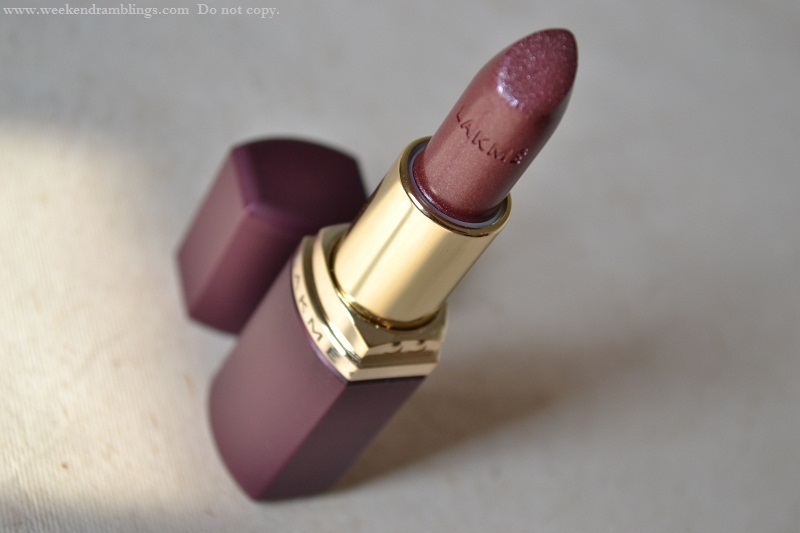 This particular shade - Kiss of A Rose - has no shimmer and didn't leave much of a shine on my cheeks. Would be great for anyone looking for a natural-looking blush to use in a more formal setting or anyone who just doesn't like bits of shimmer. The bad: Seems to me like a bit less of a quantity for the price (Cost: Rs. 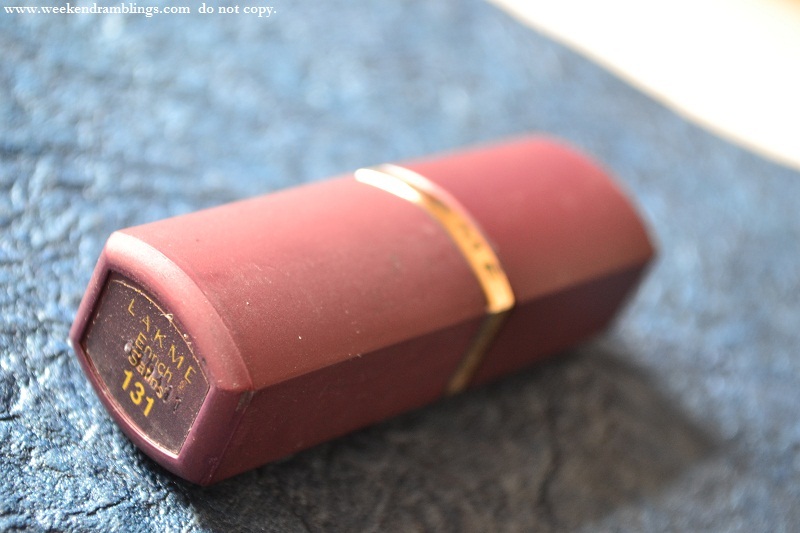 395/6g), though it does feature very convenient packaging and the blush itself is quite nice. 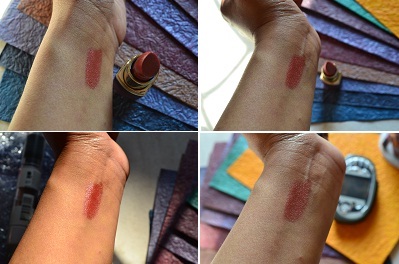 Swatches: The shade is a natural pink which is almost lost on my darker skin tone. Still, I prefer that it gives just a hint of colour rather than go the clown route. The colour can be built up, so it really shouldn't be anything to complain about, especially for lighter skin tones where this would show up much more easily. 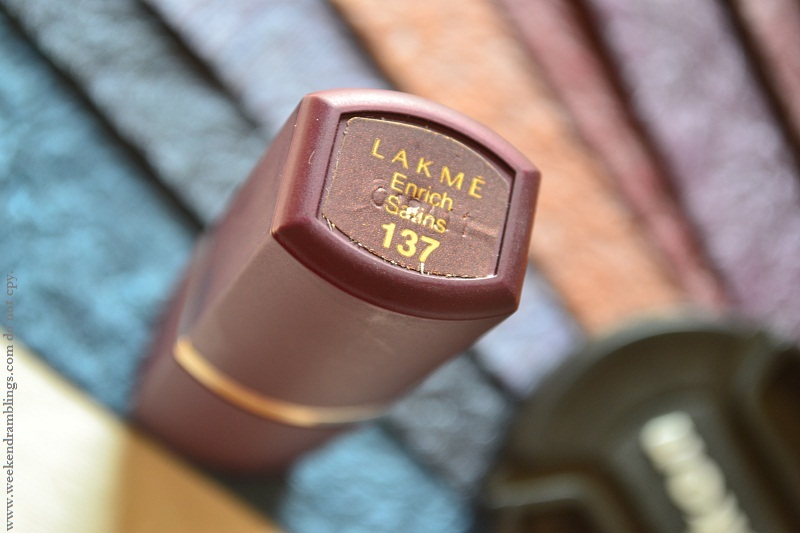 The last of the lipsticks from the Fantasy Collection that I got to try out - Lakme Enrich Satins 131 - a light pink colour that would look great as an everyday lipstick for lighter skin tones. For someone darker like me, I think this colour is a little difficult to carry off - perhaps best paired with a smokey eye since this would tend to wash the colour off the face quite a bit. 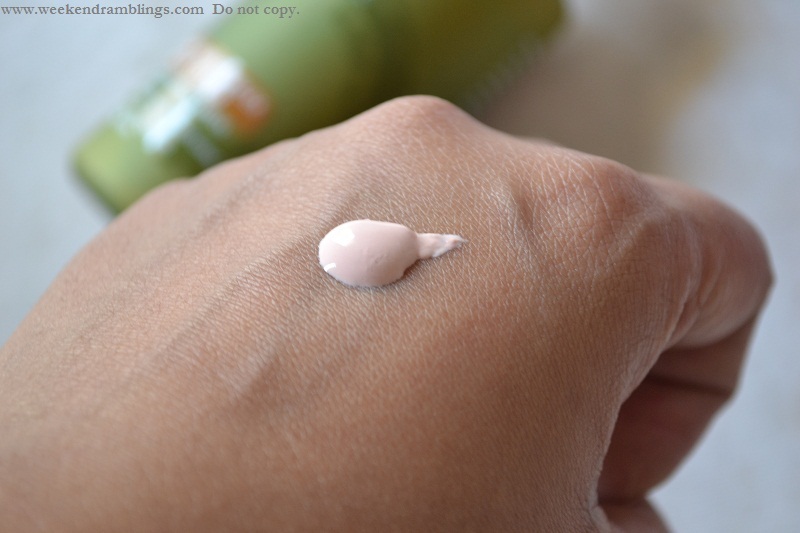 My take on this shade: Perfect for the lighter-skin girls. Darker skin tones would find this a little difficult to wear and not look washed out. 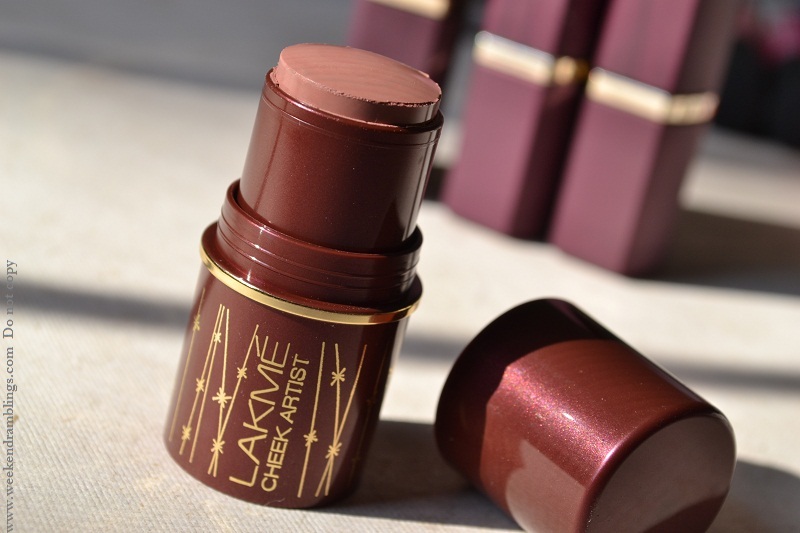 The finish is non-shimmery and almost matte, and I wish Lakme would make more shades in this finish. 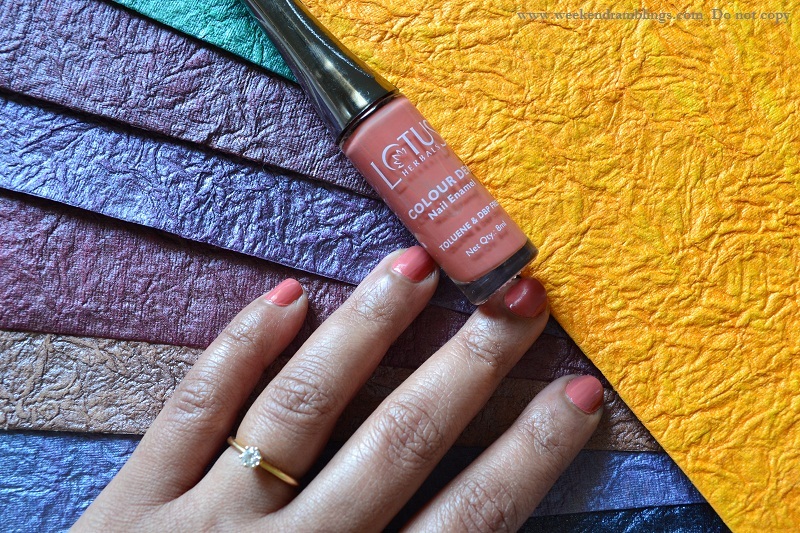 Me, I am wearing Lotus Colour Dew Nail Enamel - Peach Perfect (99). Every once in a while, I have to clean up my kitchen - and then I find things very close to their expiry dates. 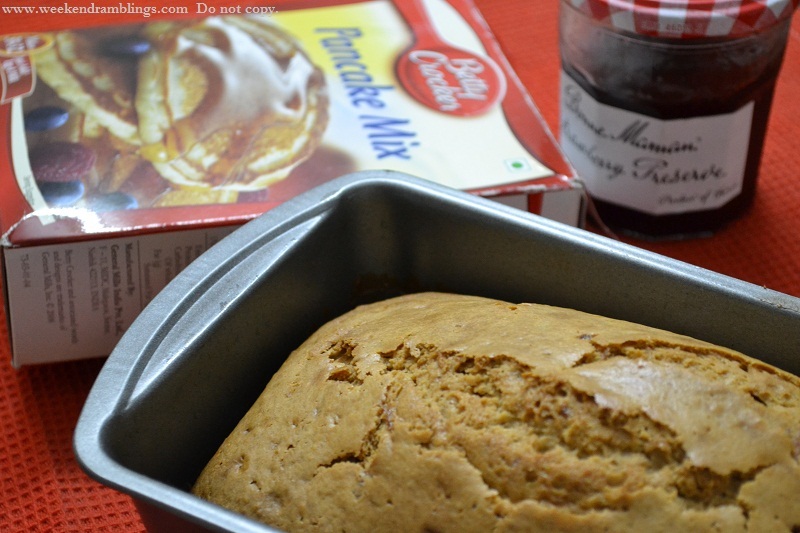 Yesterday's discovery was the Betty Crocker Pancake mix...and a bottle of strawberry preserve (jam? 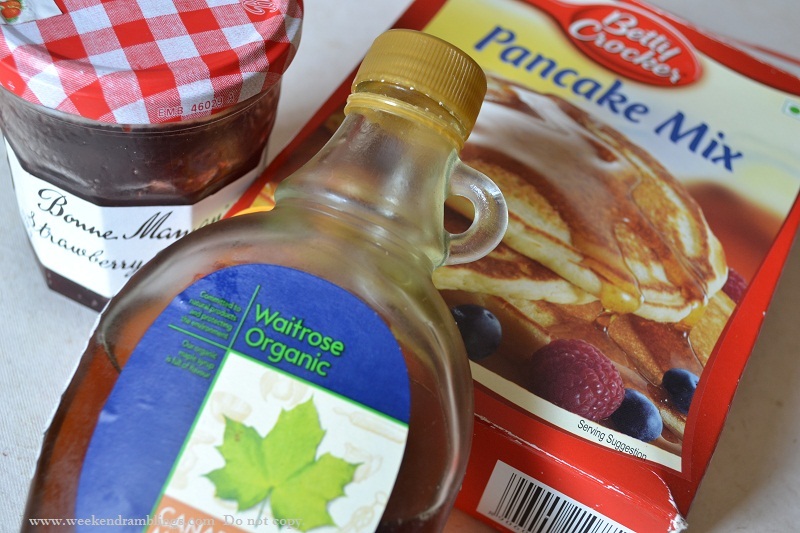 )...and some maple syrup. I really didn't expect it to turn out into anything identifiable, leave alone edible, so I never did bother taking photos while making it. 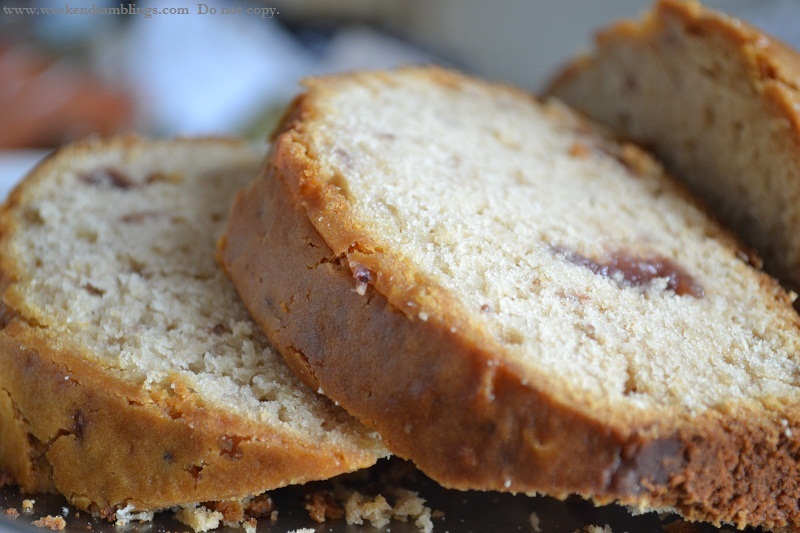 There is no method to this recipe (if it can be called so!). Hardly any sugar at home - so about 1/4 cup powdered sugar and the rest I added maple syrup till the batter tasted sweet enough. Milk - enough quantity to get this mix to a cake batter consistency. Bake at 180 C for - okay it took ages to get done, so bake until the top starts to resemble a cake. Insert a skewer or something to check if it's done. 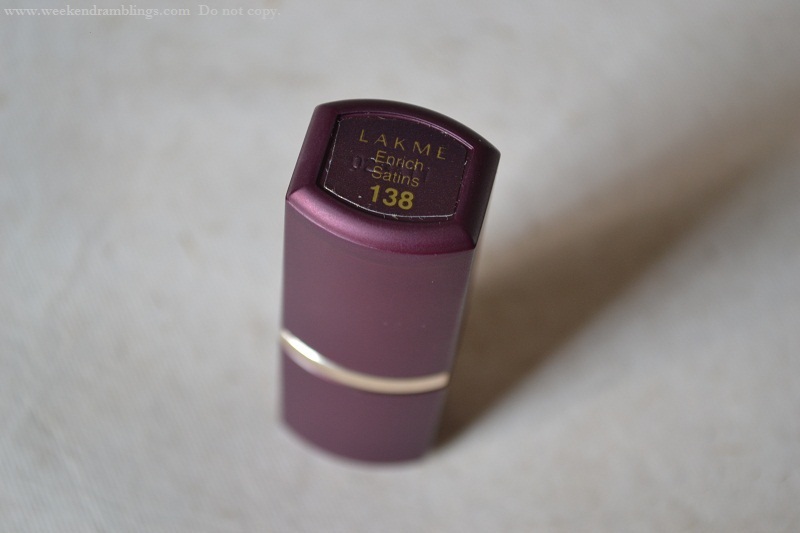 Allow to cook a bit, slice, and wonder at how the thing ever got baked :D :D :D It's more like a huge muffin rather than cake, but quite yummy..
Part of the Lakme Fantasy collection which came some time back, the shade 138 is a dark wine-like colour that I wouldn't really have picked up on my own. 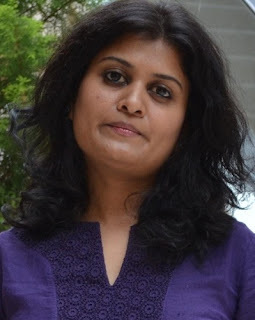 That said, I guess it can be carried off by some people - I had this friend in office who is about the same shade as I am, and she used to wear these dark colours and look amazing! 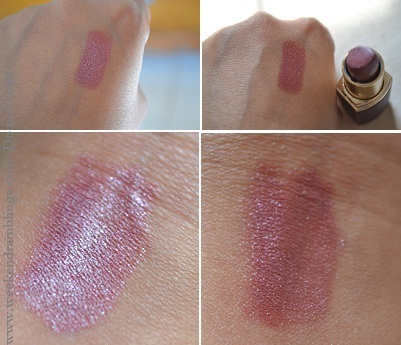 The shade to me seems like a wine shade with a lot of silver frost/shimmer in it. I am not a big fan of the frost finish. It's a darker colour, but the swatches look different depending on how the light falls on my hand, mostly because of the shimmer. It has a bit of a brown to it, and in fact seems a bit brown on my lips as it fades off. I tried this shade twice. It didn't dry my lips out and lasted about 2-3 hours. Even when it did disappear after my lunch, it left a slight tint on my lips which was quite nice. 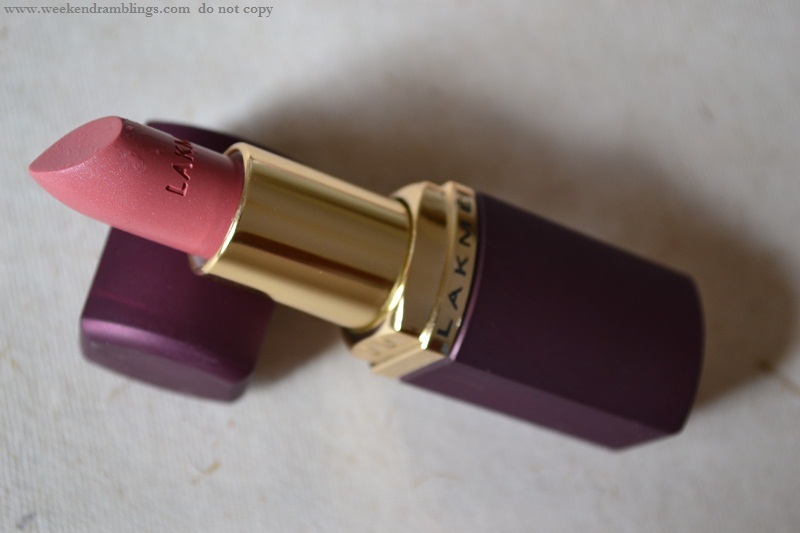 I am not very bothered by smells in lipsticks, and this has a slight fruity smell (it seemed fruity to me!) that is quite okay. The only problem I had was, as I said, the shimmer. It's not a finish I generally pick up, plus I somehow manage to get shimmer all around my lip area :| :| My personal likes/dislikes apart, the quality of the lipstick is quite decent. 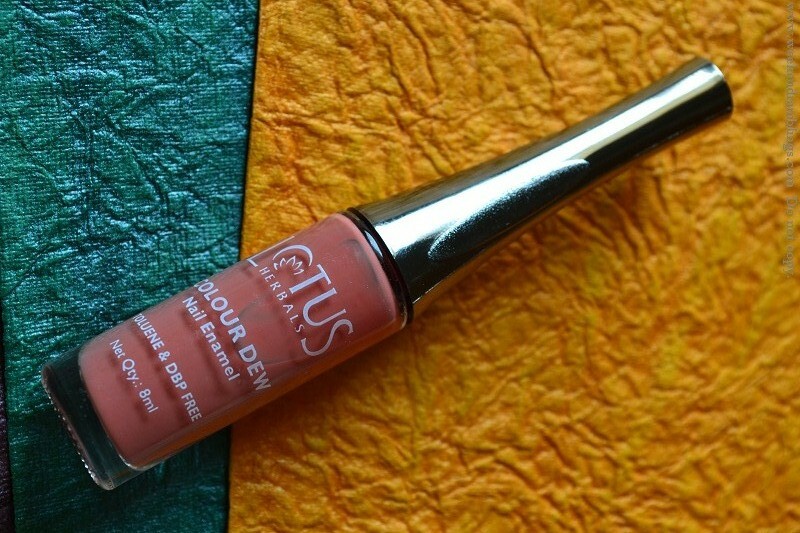 It claims to provide sun protection and does not dry my lips out.